El Cantil is located on the oceanfront right in town so you are walking distance to everything in San Miguel. 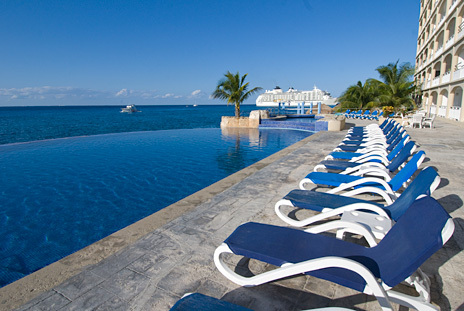 The El Cantil Condos are one of Cozumel's most luxurious buildings. This oceanfront condo is located in the southern area of downtown San Miguel. 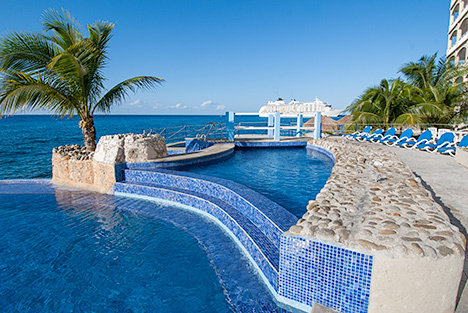 You are conveniently situated within walking distance of restaurants, grocery stores and Cozumel's central plaza, no need for a rental car here! Views are superb and there is 400-ft. of oceanfront with large pools, sundeck and access to the ocean. There are 2 towers at El Cantil, the North tower and the South Tower. 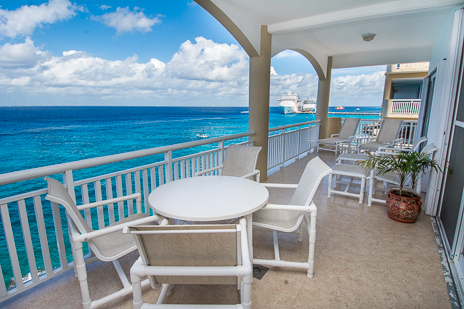 All condos have amazing ocean views. Divers can be picked up at the boat dock. Plus you can enjoy snorkeling right out your door!